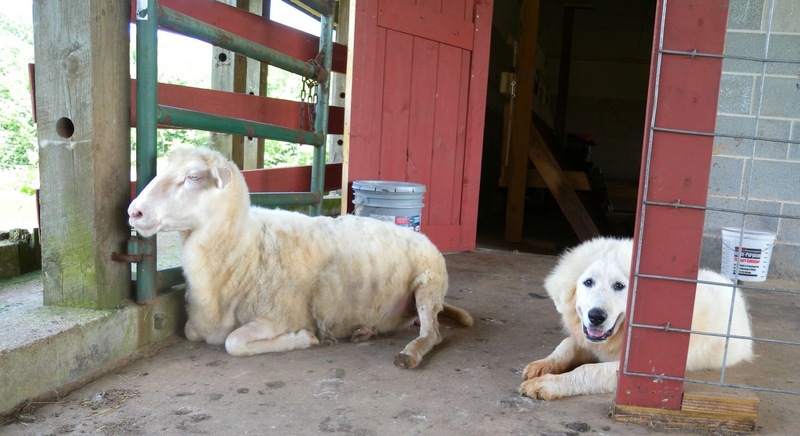 I am always behind on something...barn cleaning, rooster processing, bucket scrubbing, soap making, cheese making, weeding, mowing, guardian dog brushing, shearing..the list is a never ending one. Today I am happy to report I am no longer behind on shearing - it is now completely done...for this year anyway. This is definitely the latest into the summer some of the girls have went while still wearing their woolly coats. 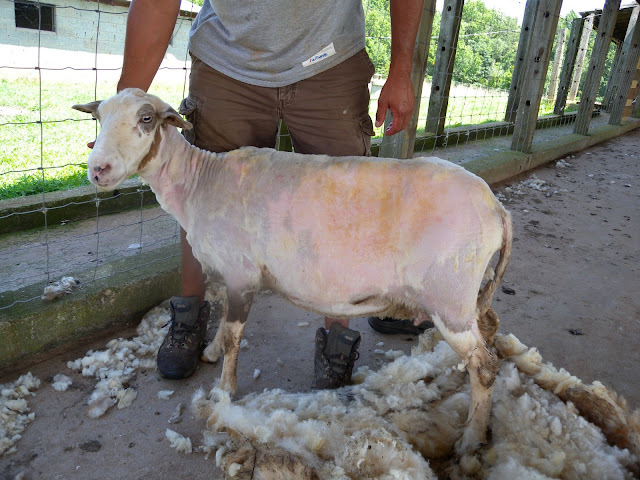 Every year our flock grows a little and every year it takes me longer and longer to get the shearing done. At this rate, I may need to start next years shearing now! It seems we do everything differently around here, so why not the shearing too. 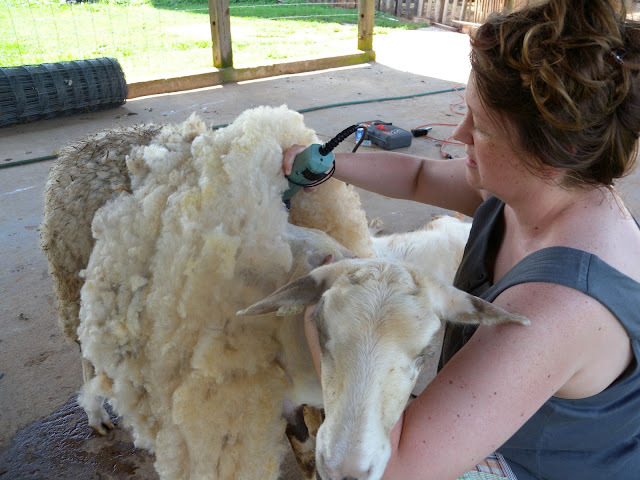 I am overly conscientious about causing any unneeded stress for my woolly girls. So with this as my focus, the barn is kept quiet with only familiar faces and I shear just a few girls at a time - there is no wrangling, no hog tying, no rump sitting or side rolling. 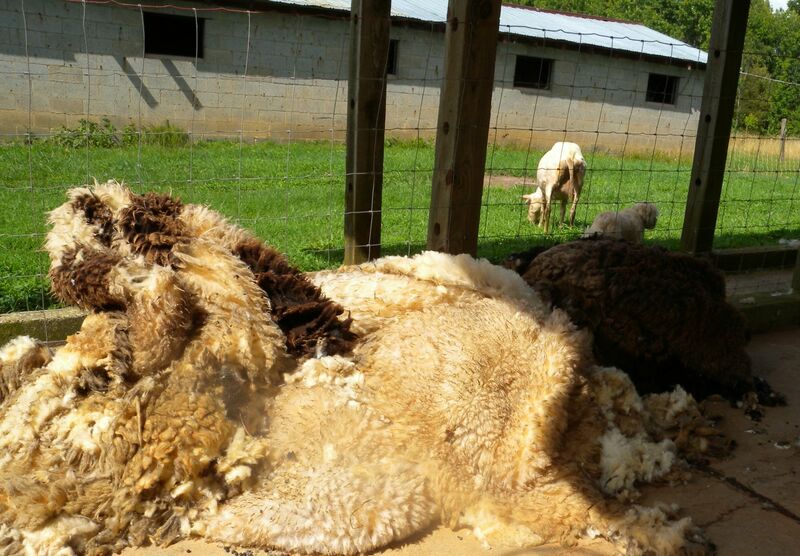 For the most part, the girls stand still as I start at their neck and work my way to their rear while rolling the fleece up like a carpet as I shear it off. I do not confine the girls and shear them assembly line style, they are simply walked into the barn for their haircuts, one at a time. Then they walk back to their paddock with their short new dews and immediately drop their heads and are back to grazing exactly where they had left off. It's a contented circle. I use simple animal clippers which I feel do the least amount of nicking and 1 blade will shear approx 60 sheep before it needs sharpening. I have several sets of blades and keep them well cleaned and oiled and alternate them as needed. 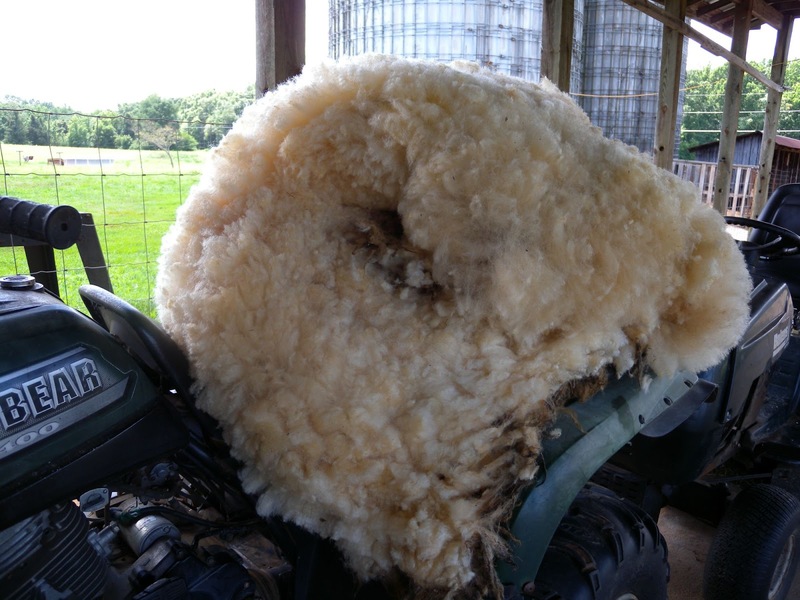 I am no pro and do not consider myself a shearer. But for me to do this myself, is part of what makes this farm go around. 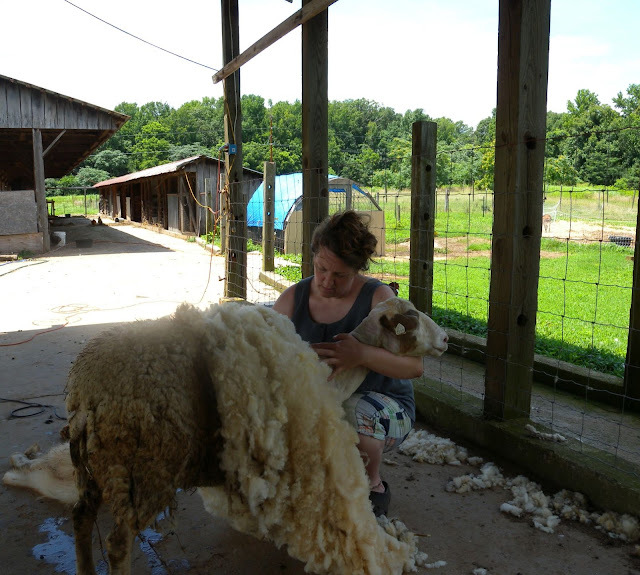 It usually takes less than 5 minutes to shear each ewe from head to hoof and their response is a gracious, gentle one. I choose some fleeces for myself to keep and skirt off as much of the bad wool as I can and roll it back up to take with me into the house, where I have some storage space for the wool I am saving for projects. I do all the fleece picking, washing and carding myself. For me, this is another contented circle and an important one in reaching our sustainable farm goal. No perfect shearing done here..but the girls don't mind and a happy sheep equals a happy shepherdess. Cheers to wool!